Peas, beans and lentils fall under the collective name legumes. Legumes consist of two fruit leaves in which seeds grow from the butterfly family. Dried legumes can be kept much longer than legumes from pot or can, but just as healthy as fresh legumes. Dried legumes not only taste better, you can do a lot of things with it. Dried legumes fit in many more recipes than legumes from pot or can. They can also be processed in sweet desserts, in smoothies or as a sandwich spread. 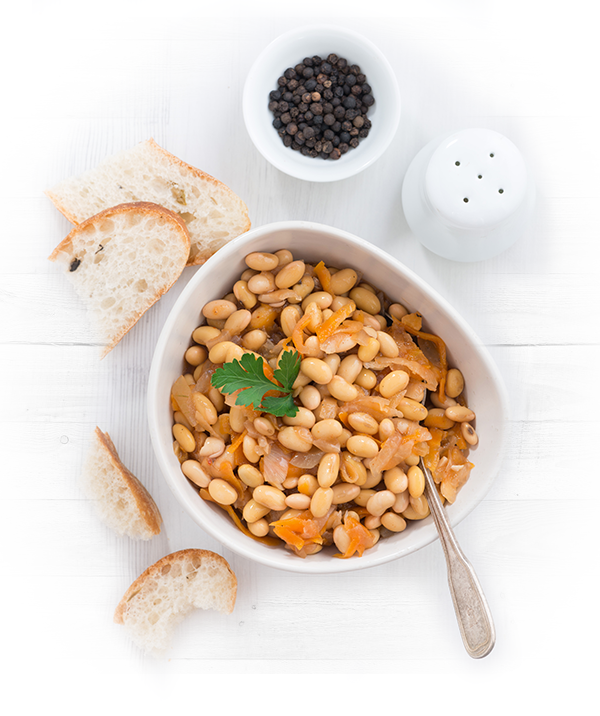 There are many different types of legumes, each with their own bite, color and taste, which makes the diversity of recipes even bigger. Because the protein from the legume is a full-fledged protein, a legume is an excellent meat substitute. With 75 gram legumes you can replace 100 grams of meat. Not only much more environmentally conscious, but also more animal-friendly. Full-fledged proteins have a high biological value from which the body can build up many of its required own proteins. 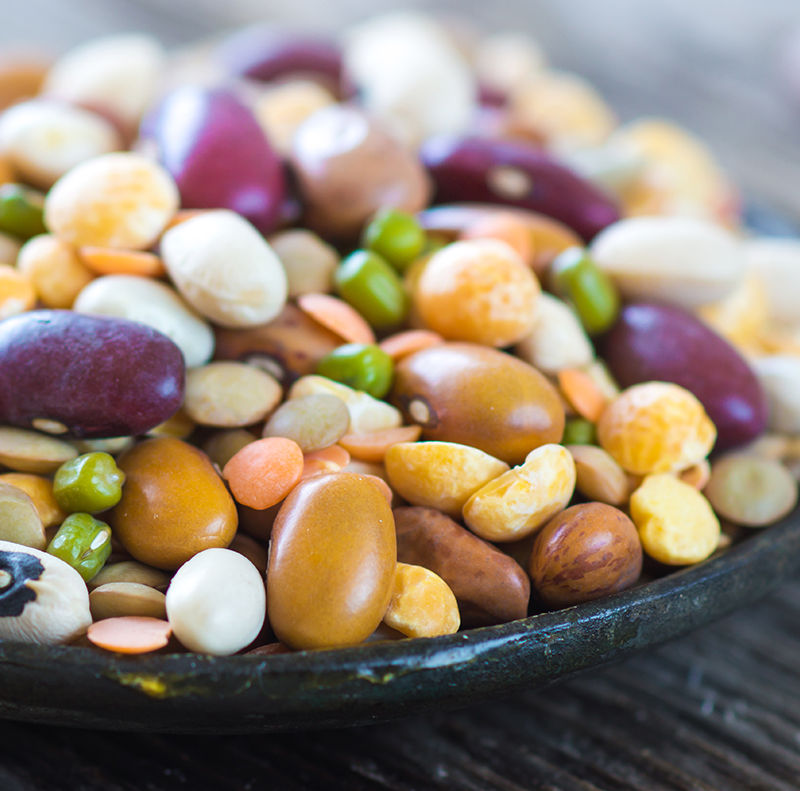 In addition to these mature proteins, legumes also contain slow carbohydrates, so that your blood sugar does not rise quickly, too many peaks in your blood sugar is not healthy. An excess of fast carbohydrates leads to overweight, too high cholesterol levels and high blood pressure. It eventually leads to diabetes type 2, which is now seen as a disease disease number 1. In slow carbohydrates are many fibers that not only reduce the blood sugar peaks but also give you a longer satiated feeling that leaves you bad snacks. In addition, legumes are low in fat, contain few calories and are full of minerals. Think of iron, magnesium, potassium and phosphorus. Also legumes contain many B vitamins including B1 and B6. Dried legumes are perfect to have in stock as they remain good for a year, provided they are in a cool, dark and dry place. With the dried version you can decide how much you use so you never cook too much or too little. In addition, dried legumes are sustainable and environmentally conscious. The cultivation of legumes is much less harmful to the environment and the yield of agricultural land is much higher than in livestock farming. 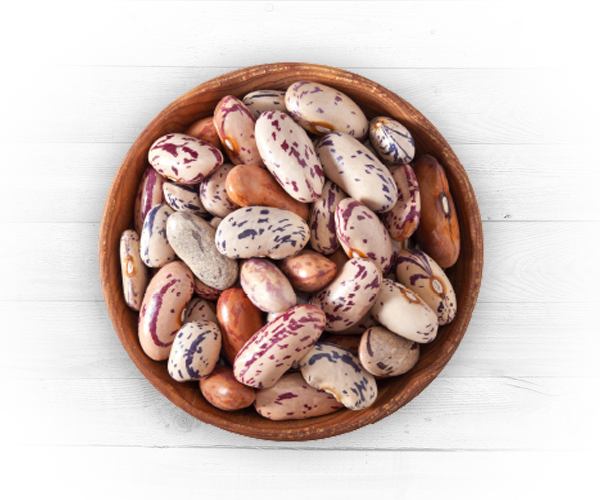 The processing, transport and storage of dried legumes is also sustainable because the legumes are transported in bulk and remain shelf-life without refrigeration. In addition, dried legumes are also very durable for the wallet because they are dirt cheap.